CFD trading setup in three simple steps..
A month ago James84 posted a question on the cfd tutorial: How to make money on CFD. His question was if I could give a detailed example of that lesson. In that lesson I explained the three steps that is needed to make money on CFD trading. In this blog I am going to talk about a CFD trading setup.The first step was to choose a good CFD broker. If you want to know on how you can recognize a good CFD Broker then read this article: CFD broker, how to recognize a good one. Step 2 is all about the CFD trading setup and Step 3 was all about how you should always protect yourself from the downsize. On our website there is a section where you read reviews of brokers. You find that section by clicking here: Compare brokers. Our review are conducted carefully and we have test it ourselves. At some brokers we have a trading account as well. Let’s move over to the CFD trading setup. 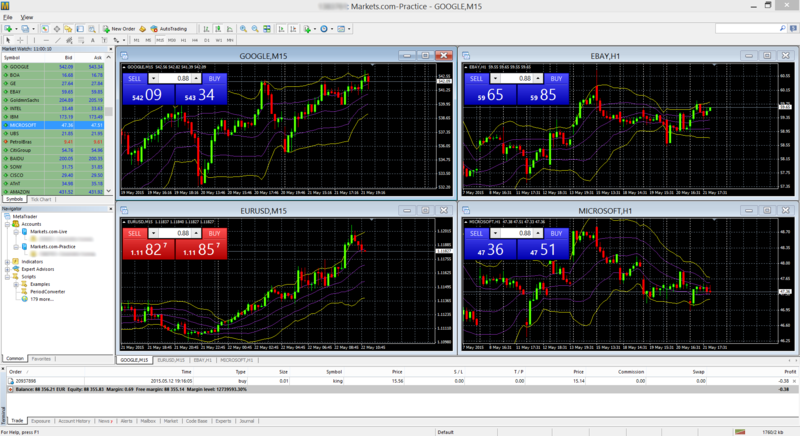 In this example I use CFD trading setup on the currency pair GBP/AUD. As you can see the current price in the chart is 2.08298. I first drew the trend lines to determine the trend. 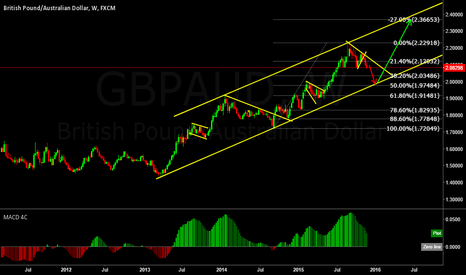 At the current situation the forex pair GBP/AUD is in a downtrend. So in this case I go short on the currency GBP/AUD. With the help of the Fibonacci and the trend line I can estimated at which price the downtrend will probably end. Step 2 is all about checking if the are any news or important events on the agenda that might change the course of the GBP/AUD. For example the meeting result of the central bank, new economic data, these two things can have a huge impact on the forex pair GBP/AUD. After completing step 1 and step 2. I will go short if step 2 points out that there are no news or any events that can influence the way the GBP/AUD is currently moving towards to. In step 3 I will put in at my Plus500 account the prize that I would love to enter and I would fill in the prize of the stoploss order to minimize my loss. No matter what my stoploss price is always 10% of my investment. So this way if something went wrong I will never lose more then 10% of my investment for this trade. By following these three steps. I gain huge and lose a little. Eventually if the price movement go to the direction that you have predicted, you can move up your stop loss order and this way you will be protecting your profit. I hope this blog answered your question James84. Sorry for the delay but I was quite busy. If you any questions regarding this blog then feel free to post your questions in the comment section below. Have succesfull trades all. Learned enough? Sign up and start trading with a demo account now. 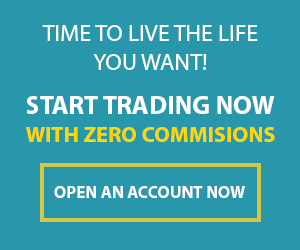 https://www.101trading.co.uk/wp-content/uploads/2015/10/CFD-trades2.jpg 333 500 Khanh https://101trading.co.uk/wp-content/uploads/2015/07/logo101trading2.png Khanh2015-12-07 06:51:342019-01-25 11:34:24CFD trading setup in three simple steps.. Check out this awesome interview. His trading success story is amazing. This guy turned turned $9,700 Into $360,000 by trading penny stocks. Of course it didn’t go in a straight way. He made some losses on his way to the $360,000. Once he made huge loss. That loss was so huge that he stopped trading for a few days. But he didn’t gave up on trading. Instead he was determined to improve his strategy and trading success was a must. Check this interview and learn how he improved his strategy and what his final strategy is. What have we learned here from this guys trading success story? Analyse your trades , understand what you are doing wrong. How did this guy make his comeback after his first big loss ? In this interview the young trader says that he took a break from trading for a week and a halve and he took also a break from his social life. He took the time of what went wrong. Researched and study it and then improves his strategy. It took him 3,5 months to get back his lost from trading the stock market. The biggest lesson that he learned is to quit the bad trades fast. And he doesn’t put all his money on a single trade. What he does now he divides it in percentage of his total cash. Like for example if he trade stocks then he only put up a percentage of his total investment money. One more thing is that this guy makes his trades mostly from his Iphone. Watch this interview because you learn more stuff for trading succes. In this third part of the online CFD course we are going to explain what the CFD trading cost are. The first part was all about what a CFD is and what the advantages were from using CFD. The second part of the online CFD course was about how you could make money with CFD trading. If you want to read part one and part two then click on the two links below. Before you are placing a CFD there some CFD trading cost that you should consider. At most CFD Brokers you will have to pay a commission fee, spread cost and a holding cost (if you are holding a CFD position longer then one day). However at Plus500, they only charge you the spread cost and a holding cost ( if you are the CFD buyer and if you are the CFD Seller you would receive a interest). When a CFD broker charge you a commission for each trade it will always consist out of the part. The first part of the commission is the minimum fixed commission price which is usually between 7 -9 pounds. And the second part of the commission consist a percentage of a trading value. So basically the higher the transaction trading value is the more commission you pay. Luckily there are some brokers such as Plus500 and Markets.com that doesn’t charge these kinds of commission. If you want to know more about these two brokers then you can check them at our brokers review. When you are buying and selling CFDs immediately, the spread amounts to the difference between what you paid and what you receive. If you sell share-based CFDs, you will receive interest. So basically when you begin CFD trading you will notice that the transaction fees is always related to your trade. A part of the CFD trading cost is called a spread cost which is the difference between the bid/buy price and ask/selling price. Let’s say you want to trade in forex and that the spread is 2 pip. So which this means is that you transaction fee is 0,0002 cent per traded unit. If you are trading GBP/EURO with 100 pounds and a leverage of 1:200, your transaction fee will be ( 100 x 200 x 0,0002)= just 4 pounds. Unlike trading options CFD’s doesn’t have a expiration date. You can hold most of your CFD’s position overnight, weeks or months. However when you hold a position overnight you will be charged interest. This interest is really small but you get charged for it because when you hold a CFD position overnight it will be seen as an investment that has been made with borrowed money. So in this case your broker(lender) have to charge you a little interest. Let’s say you want to buy Starbucks CFD shares at a price of 50 pound a share with a transaction value of 10.000 pounds and you have a leverage of 1:20. With this leverage of 1:20 you will have to use only 500 pounds of your money instead of 10.000 pounds instantly. And you will hold this position for 10 days and sell those at 60 pounds per share. So what would be your profit after deducting the CFD trading cost? Initial trading value was £10.000,- which equals 200 Starbucks CFD shares. CFD trading cost = spread opening + spread closing + overnight cost. 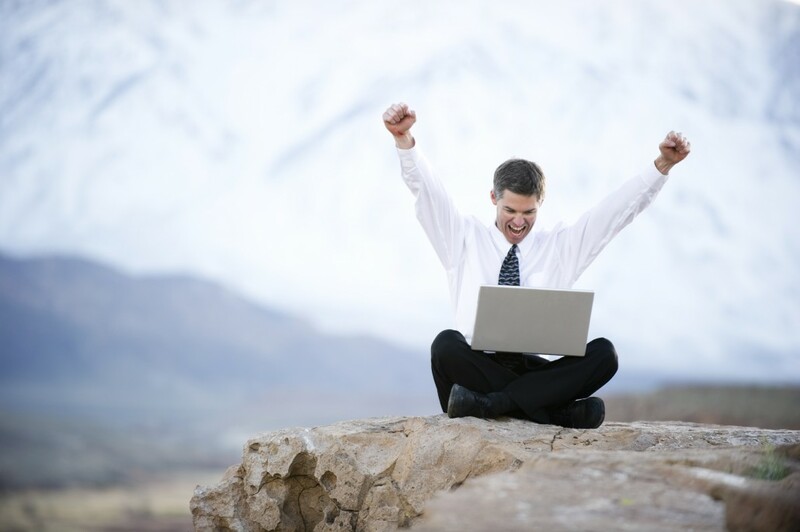 So your return on the investment on CFD trading with only £500 pounds is nearly 400%! Now your CFD trading cost could be more if the broker also charged you a commission on each transaction that you have made. Fortunately there are a few brokers that don’t charge commissions. One of them is Plus500. If you have any questions regarding this topic, please post them in the comment section below and we will answer it as soon as possible. In this CFD tutorial I am going to explain on how you can make money with CFD trading.Now if you don’t know what a cfd is then you should read this article: What are CFDs? One of the reason that I like CFD trading so much is that it gives you so much possibilities to trade. You can use cfd trading to make a trade in forex, shares/stocks all over the world, top Indices, commodities and all kinds of funds. For example if you don’t see any opportunities to make money in the FTSE then you can always look to the German market and see if Volkswagen share fits your requirement to make a decent profit. Or you can trade in gold by using cfd trading if you believe that gold market gives a good opportunity to make a profit. The first thing you need in CFD trading is CFD broker. Its vital that you choose a good cfd broker. Because unfortunately there are still some brokers around that are scam. To avoid off getting a scam broker, you should take a broker that has licenses from Financial Authorities. In our brokers review you will find what our experiences are with different brokers. Our top picks at the moment are Plus500 and Markets.com. You can the reviews here: Plus500 Review & Markets.com Review. After you have open a CFD trading account or if you already have one then it is time to make some profit. Here is the first thing that you should do. Create a trading plan. A trading plan is a simple plan where it states why you want invest or trade in this object and at which price point you should get in or get out. One of the best way of determine a buying point is to use make use of the horizontal lines and trend lines. By using both U can pinpoint the price point where you should enter the market (buy the object) or leave the market (selling the object). If you want to know more about buying signales and selling signales then read this article: buying & selling signals. Have you ever heard of the first two rules of Warren Buffet in investing? Rule nr.2: Never forget rule number One! I love that rule. That’s why I always use a stop loss order to limit my potential loss. By using a stop loss order, I am in control of my risk management. Meaning that I can control my potential losses and keep it small when the trading doesn’t work out well. And when it works out well I can make a huge profit while my loss is small. A CFD trading making money extra tip: Use a stop loss order to protect your profit. A stop loss order is used to keep you from losing money but it can also be used to secure your profit. Let’s you say your current trade is making a profit. Then all you need to do is to move up the stop loss order. Let’s say the stock that you have bought at 20 pounds currently has a value of 35 pounds. The best thing to do now is to move the stop loss order to a price of 33 pounds. This way if the stock suddenly drops in price to 25 pounds, you will still have a profit of 13 pounds instead of 5 small pounds. If you have bought the stock with cfd then you profit will be a lot bigger then 13 pounds per share because of the leverage. Using CFD gives you a lot of advantages in trading. In this post I will answer questions regarding cfd (contract for difference) are. And what the advantages are of using contract for difference in your portfolio. CFD stands for contract for difference. In a CFD the contract stipulates two parties, which is typically described as “ Buyer” and “Seller”, which the seller will pay to the buyer the difference between the current value of an asset and its value at contract time. And if the difference is negative the buyer pays instead to the seller. What are the advantages of using CFD? When you start trading with CFDs you will encounter the term leverage. Leverages are one of the biggest advantages that a CFD has. What it does is that it gives you the ability to invest largely with a small amount of money. CFD gives you the ability to take advantage of small price movement. And many traders are using CFD for this purpose only. However, investing through a large lever brings with it certain risks. This article is part of the short course of how to invest in CFDs. When you are investing in CFD you will always use leverage. A lever is always displayed as a ratio, eg 1:50. 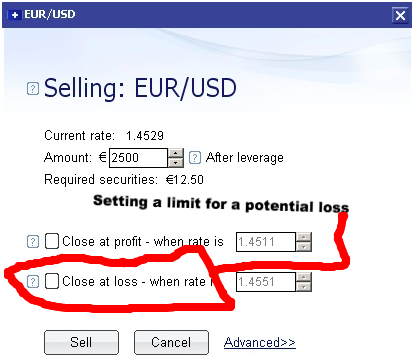 When the lever is 1:50, this means that with a balance of € 1,000 you can invest as much as € 50,000. With this CFD leverage you can add a greater amount of securities to your portfolio. How does a CFD leverage works? The leverage works in a similar ways as a mortgage. When you want to buy a house, you will need make a down payment and get a mortgage. In this case the mortgage gives you the ability to buy the house that you want. When you sold your house you pay off the mortgage. And what you have left is your profit. The same way it works with CFD leverage. Let’s say you want to buy 100 Starbucks shares. With CFD Starbucks shares you only make a small down payment to acquire 100 Starbuck shares and the broker will finance the rest. The broker is behind much of the position and the difference between the opening and closing price will eventually settle with your own balance. You are at no time the owner of the security; the broker will control both the buying and selling. When investing in CFDs, you have no further responsibility since you are not the owner of the physical effect. A major advantage of a high leverage is the fact that you can also achieve high gains with low power. 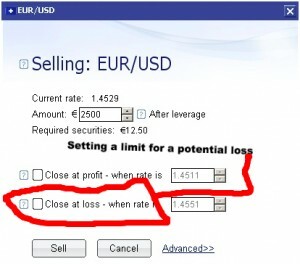 If the share price rises eg with a euro and you use a leverage of 1:50 then you immediately earn € 50.00. However, when the price falls a euro, you will lose the same amount. The gain or loss on your position is usually settles with your balance. Be careful with leverage! You will not be the first to directly leverage from one hundred to open a position. With a higher leverage also come increased risks, since each euro to fall in price much higher loss entails. The leverage effect can work both ways and it is important to deal responsibly with this. Don’t use the full leverage in the early stage and go only use this useful tool once you know how you can make money investing. Once you figure out of how it works. Then using leverage will give you big profits! Starting with online trading is much easier than you think. In this article we will explain to you how we trade and how we made a profit of 422 euro with only a small deposit of 160 euro. Trading used to be only for banks and big companies. Now, with the internet, it is possible for anyone with an internet connection to trade. This means you can not only trade from home, but from wherever you are and whenever you want. Besides this awesome fact, you can also trade with leverage. Leverage? Yes, with a leverage of 1:20 you can trade in stocks (CFD’s) 20 times more worth than your deposit. The advantage of this is that you can receive a very high profit with a small deposit. Let’s say you have 100 pound and the leverage is 1:20, with only 100 pound you can open a position worth of 2.000 pound (100 * 20). You can see with only a small deposit, you can make a big profit. This is perfect, because even if you don’t have a lot of money, you can make good money with online trading. So how can you start online trading? First of all, sign up to an online broker. Compare the best online brokers here and receive a 20 pound bonus to practice with. There are no obligations when you sign up, so go ahead and try it out. Find out how to receive more bonus here. Now how can you start doing exactly this? What sources do you use? This article explains just that. We will also use a real example of one of our own trades. Now you can follow these quick steps to begin to trade right away. The steps below follow the strategy that we learned before, but this time we put it in action! You can even use these steps below as a checklist for your own trading. Review which stocks have an earnings report coming out today. Pay attention and only choose the ones that are available in your online broker stocklist. Only choose stocks that have a time supplied. Write this down. Find out what the leverage is, the higher, the better. Find out about the company. Find out if this stock was on Plus500, it is. Now let’s check the leverage: 1:20. Great! The time of release is after market close. Love it! We tend to like these stocks more, because during after- and pre-market, you usually can predict what direction the stock is going. So at market open, we would be more prepared. Now a little Google search helped us learn about this company, it is a technology company much like Dropbox. They use the cloud to give people the chance to back up or share their files online, so it can be accessed anywhere. This sounds good! Let’s move on. Step 2. Should I open a long or short position? Find out whether the announcement will be good or bad. It doesn’t matter which direction it goes, because either way, you can profit. You should already know that the movement of a stock is almost always volatile whenever an earnings announcement gets released. To be sure, you could check the volume of the stock on Yahoo Finance, for example here. StockTwits: one way to find out whether the earnings announcement will be good or bad is by reading what other people say about this stock. We tend to read StockTwits for this. For BOX the link is: //stocktwits.com/symbol/BOX. You can insert your own stock in the search field and then view what other people think about this stock. You can even see whether or not they think it is going up (bullish) or down (bearish). If you see a lot of bullish, it most likely will be bullish. As for BOX, we could see it go up, not only because of what we read online, but also looking at the past quarterly earnings numbers. Where do we find these numbers? At the website of the company itself. All companies where you can invest in has an investors page. BOX’s investors page can be found at: //www.boxinvestorrelations.com/. Also, Google is your king. Open a position not too early: we opened a buy position on BOX just before the news came out. As noted before, this is just before market close. Don’t open the position too early, because the normal daily volatility could give you a disadvantage. Money deposit: also, we only deposit money that we want to use: 160 euro. Not more and not less, because this will help us not lose more than we want to. This is important! Only use money that you can afford to lose. News is out! The market is still closed though. All we can do is check the stock price (the aftermarket/premarket one) constantly, you can use the NASDAQ after hours website for this. Yahoo Finance also provides this information. It is in the small font just under the open market price. So what now? Be sure to be ready when the news comes out, the stock will now go up or down very fast. Our stock BOX moved up, we could already see the numbers in the aftermarket. The next day just before market open, check the numbers again. You will see at what price the stock will open. At this point we already knew that we had a win. The next thing to do is preparing ourselves to close the position as soon as possible. 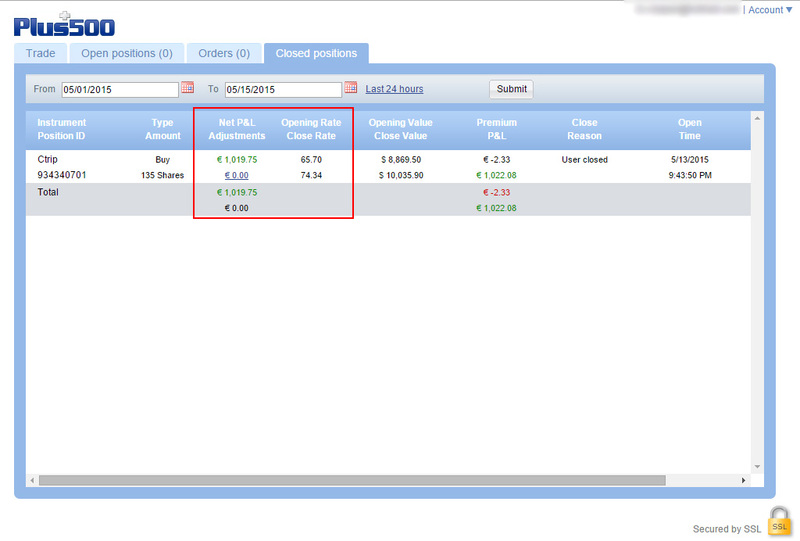 At market open, at the first possible opportunity we closed the position, grabbing our profit of 422 euro. Amazing! Remember this: don’t ever be greedy. Unless you know how to use a stop loss, you can wait before closing the position. More about stop loss strategies will come later. Don’t let your money sit on your account. Withdraw it, use it, enjoy it! Online Trading isn’t all work, it should be fun too. Now don’t forget to evaluate your online trading today, you can always learn from it for future trades. Got questions? Feel free to ask them below. 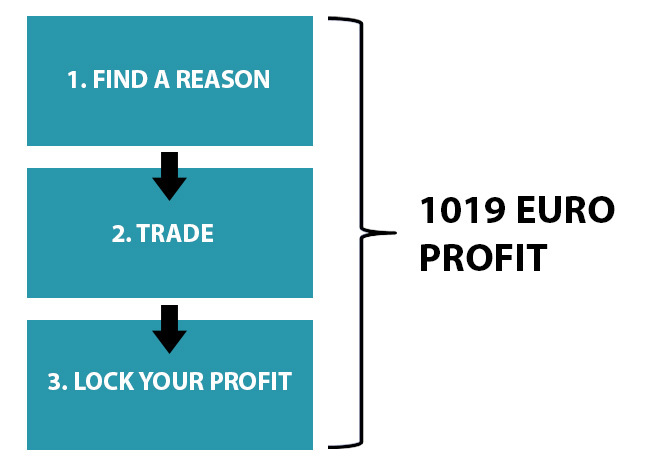 By trading stocks online in a smart way, we made 1019 euro profit yesterday. In this article we will introduce you to trading smart in stocks by explaining it with a real example. After reading this article you can start trading too. Online stocks trading: how did we make a profit? Trading in CFD is not only about luck. Using a strategy would up your chances by a lot to profit. Yesterday we found a good stock to trade: CTRIP, we opened a buy position (long) at stock price 65.70 and closed it at price 74.34, which made us a profit of 1019 euro with 400 euro. So how did we do this? The first and most important step in online stocks trading is to find yourself a motive to trade. So why did we choose CTRIP? First of all, we knew that it’s quarterly report was going to be released and whenever news like that comes out, a stock has super high volatility. We also found out that this news was going to be positive. How? We read about the company, we did a simple Google search. CTRIP is a Chinese online travel agency for booking flights, hotels and trains. So we found out that CTRIP is a online technology company and by watching the economic news we know that technology companies are doing well in these times. We then went to the investors page of the company (every stock company has one) to read the latest news and the previous quarterly report and did a quick analysis. All was positive. This has made us decide to open a buy (long) position on CTRIP, because we expected that the newest quarterly report would also be positive. This means we think that the stock price will increase after report release. Trading with positive or negative news is what you call ‘Fundamental Analysis‘. Read more about how to use fundamental analysis to profit at this page. After reading about the company we also found out when this report was going to come out. It turns out that it would come out after-market. This means after market close. In the online stocks trading world observation is one of the most important things that all traders must do before entering the market. So we decided to watch the position all day and find the perfect time to open a buy position. We decided to open a buy position right before market close with 400 euro when the stock price was at a low price. We deposited the money, not more and not less because we don’t want to lose more than we deposited. Aftermarket close the news of the quarterly report came out and it turned out to be, like expected, positive. During the night we could see that the aftermarket price was rising over 10%. This means a big win! At market open, the next day, the price rose around 13%, we decided to wait till market open and close the position as quickly as possible, because whenever a price is rising that much there could be a big sell-off, which results in a stock price decrease. 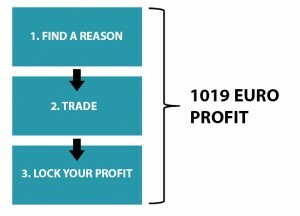 So after the market opened, we closed the position immediately to lock the profit and gained ourselves 1019 euro profit. How did we make so much money with only 400 euro in online stocks trading? Well, we traded in CFD stocks, which gave us a leverage of 1:20. With leverage you can trade with a small deposit as a big trader. This meant for us: trading with 400 euro was actually worth 400 * 20 = 8000 euros. So we could trade 8000 euro worth of stocks with only 400 euro, which means we can profit 20 times more than our deposit, but we cannot lose more than our deposit. Which is awesome, but only when you use the right strategy. Plus500: Trading in CFD’s with a leverage of max. 1:30. Open a free account here. Markets.com: Trading in CFD’s with a leverage up to 1:20. Open a free account here. Avatrade.com: Trading in CFD’s stocks with a leverage of 1:10. Open a free account here. In the online stocks trading world it is important to evaluate your trade after closing a position. Write it down in your plan, tell the document what you did and why you did it, because that is the only way to learn from your profits and also mistakes. This way you can adjust your strategy until you find one that fits you the best. Cfds are contracts. These contracts represent a deal that has been made between the seller and the buyer. In a cfd contract it stipulates that the seller of the CFD contract will pay the buyer the positive difference between the current value of an asset and its value at the contract time. And if the difference is negative then the buyer has buy the seller the difference. What are cfds: the advantages and disadvantages? Tradable on a margin. CFD is a leveraged product, so you only need to deposit a percentage (typically from 5-10% to for shares and 1% for indices) of the total value of the trade. This allows you to enhance returns and levels of market exposure. For a similar and usually smaller cost per trade you can gain 10 times the results (if not more) from a trade due to the inherent leverage. This means a more efficient use of your capital as that there is no need to invest in the full value of the shares. Cfds is not attractive for a long-term hold because of the interest that you have to pay for holding that position. As a CFD investor you have no rights as a shareholder. Lets say you only have $500, – to buy Apple stocks. This means you can only buy 5 Apple stocks and when the stock price value go to $101, -, you will be only making $5, – of profits. However when you invest in an Apple CFD you will only need to deposit a margin. Let’s say the margin call is 5%. What this means is that you can buy more because the broker finance the other 95%. When Apple stocks goes up in value to $101, – you will be making $100, – of profit instead of $5, – profit. You have learned what cfds are and how profitable they can be. Don’t forget that you can lose money on it as in any kinds of investment. Because there are always risks. You can start trading in cfds by clicking on open an account here at Plus500 or at Markets.com. The first thing you need in CFD trading is CFD broker. Its vital that you choose a good cfd broker. Because unfortunately there are still some brokers around that are scam… Read more. In this third part of the online CFD course we are going to explain what the CFD trading cost are… Read more. * 80.6% of retail investor accounts lose money when trading CFDs with Plus500. You should consider whether you can afford to take the high risk of losing your money. https://101trading.co.uk/wp-content/uploads/2015/07/logo101trading2.png 0 0 Cassy https://101trading.co.uk/wp-content/uploads/2015/07/logo101trading2.png Cassy2015-04-20 15:00:162019-01-25 12:33:29What are cfds? Before we go to the section of setting up a trading plan. You first need to know what your goal is that you want to achieve before you work on a trading plan/strategy. As you may know, a plan can’t function if there is no end goal. In this article I will describe one example. Which broker fits me best? Example 1: 1000 dollar extra income per month. Let say you want to earn a 1000 dollar extra per month besides your job with trading. On a yearly basis it means that you have to make a profit of 12.000 dollars. In the financial markets there are a few instruments and strategies that can help to achieve that goal. But based on your available time and budget you need to choose in which market you want to trade in. Based on the 1000 dollar end goal, your weekly goal should be 250 dollars of profit. Whatever amount of money, activities or dreams that you want to achieve. You need to define it in weekly and monthly goals. Don’t go crazy and set unrealistic goals like a 1 million dollars of profit with a budget of 100 dollar a day. That’s too crazy! Its important to review your excel sheet or goal sheet everyday because it keeps your focus on track on achieving your dream. I work with weekly goals system to monitor my year goal progress. So if you sometimes miss the weekly goals, it’s fine as long as you know where you are in the progress in achieving that yearly goal. In the next chapter I will discuss how to setup a trading plan.